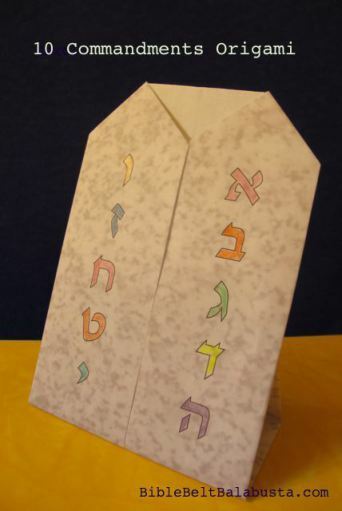 "This simple paper-folding craft is a fun way to prepare for and celebrate Shavuot, the holiday that commemorates the giving of the Ten Commandments, and by extension the whole Torah. With your help, even a young child can fold and decorate the “Tablets.” The finished product can stand up on a table or lie flat as a card." 9: Parshat Yitro: The Ten Commandments Beyond The Two Tablets?